Can your combine keep up? Meet the 4000 Series from Honey Bee. 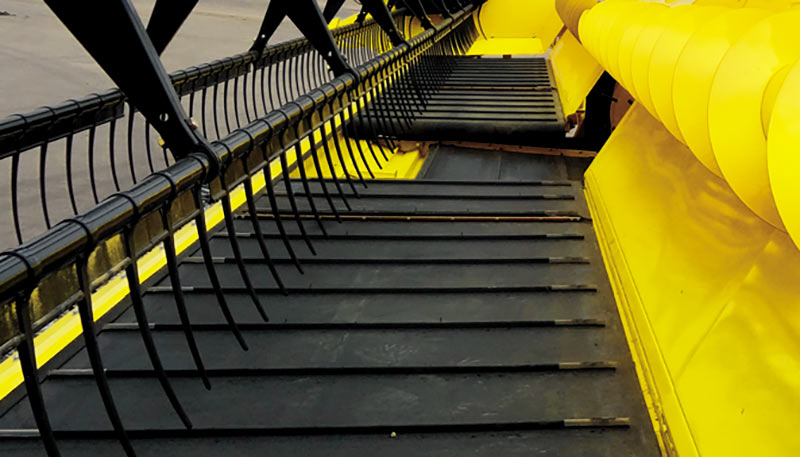 This high-performance draper header feeds the crop quickly and smoothly to the combine, improving cutting capacity and pushing your combine to its limit. 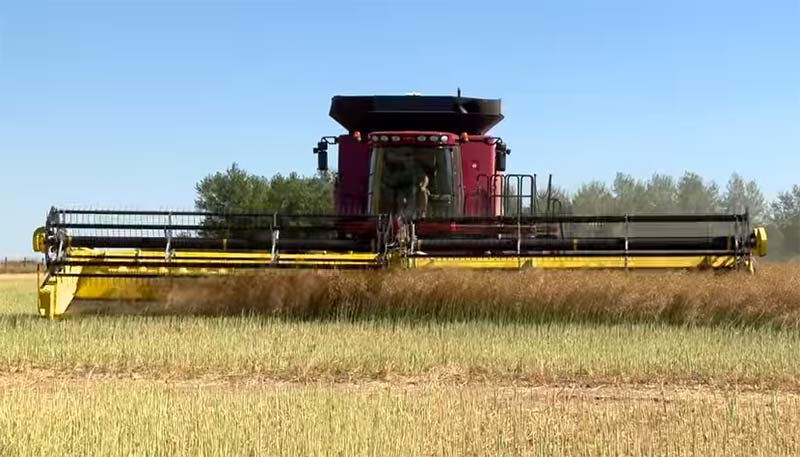 The 4000 Series provides high-performance harvesting in wheat, barley, oats, canola, flax, milo and a variety of other grain crops. The newly designed features have been fine-tuned to offer fast, efficient cutting while minimizing crop loss and maximizing profits in all farming conditions. 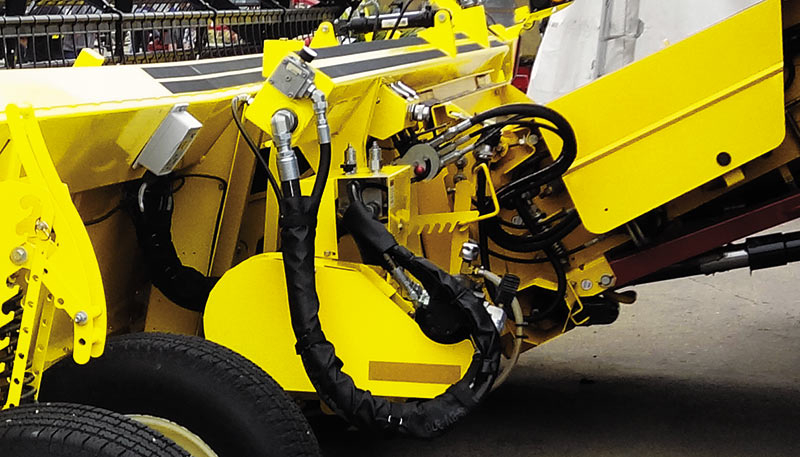 The improved hydraulic system reduces operating temperatures, and new fittings in the retractable finger auger make maintenance less frequent and less expensive. 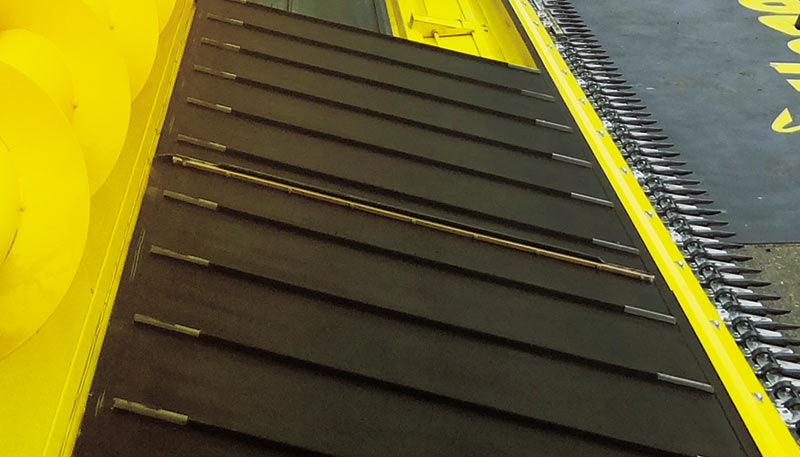 The 4000 Series is available in 30', 36', 40' and 45' widths. The new seal at the bottom end of the draper reduces losses with smaller-seeded crops including canola, flax, hemp and sesame. 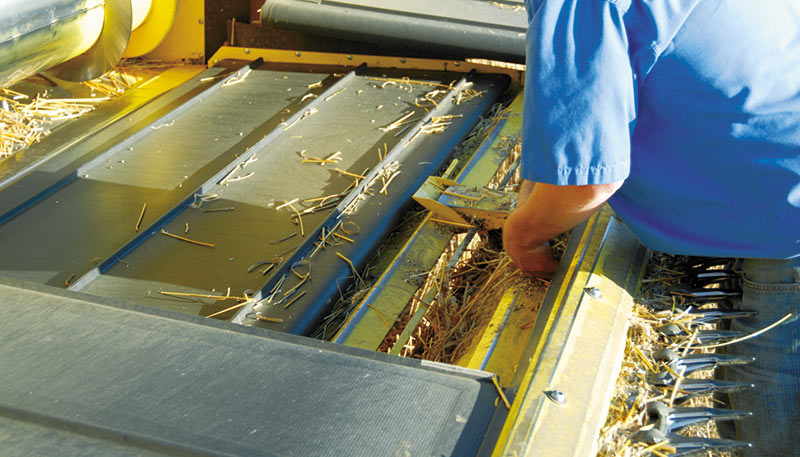 The flatter profile decks improve crop transition from cutterbar to feeder house. This makes harvest faster and reduces cutterbar crop loss. Crops feed smoother and faster into the combine, thanks to the increased capacity of the auger drum and 80” center deck opening. Large fluffy crops such as canola feed easily. The new hydraulic design reduces operating temperatures, resulting in improved performance and reduced hydraulic issues. The Mechanical Trap Door allows you to remove debris that accumulates in front of the centre draper. The adjustable wheels provide 8″ of vertical float and castor on turns to reduce potential damage. 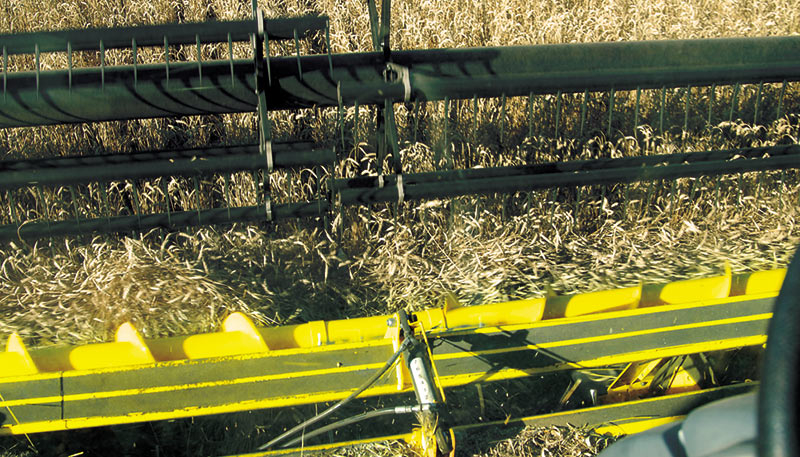 These areas were redesigned to improve draper and cutterbar visibility from the cab and improve crop transition from cutterbar to feeder house. The low cutterbar cuts closer to the ground and reduces dirt pushing. Hydraulic System Self-contained hydraulic system on the header. Tandem gear pump with step-up gear box driven off bottom feeder housing shaft. 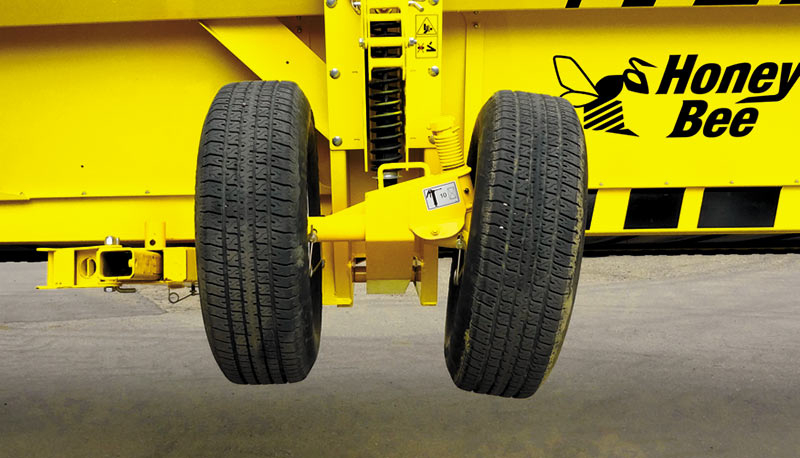 Header Floatation Leaf spring float system with coil-over spring assist standard on all models. Knife Drive Double knife drive standard on all models. SCH Epicyclic 3 5/16″ (8.4 cm) stroke, hydraulically driven, approximately 1,240 – 1,350 strokes per minute (depending on make of combine). Draper 42″ (106.7 cm) wide rubberized polyester, fibreglass reinforced rubber slats. Hydraulically driven, speed adjustable from approximately 0 – 700 fpm (213.4 mpm). Center Deck Hydraulically driven, 80″ (203.2 cm) wide centre canvas. Speed adjustable on header. Feed Auger Mechanically driven, 16″ x 82.5″ (40.6 cm x 209.6 cm) retractable finger auger. 3″ (7.6 cm) double start flighting. Bolt on flighting sections to match combine feederhouse width. Pickup Reel – Universal UII, (Series 2) 6 bat, 42″ (106.7 cm) diameter, plastic teeth only. Reel Drive Standard Chain Drive – using combine hydraulic system. Reel speed adjustable in cab. 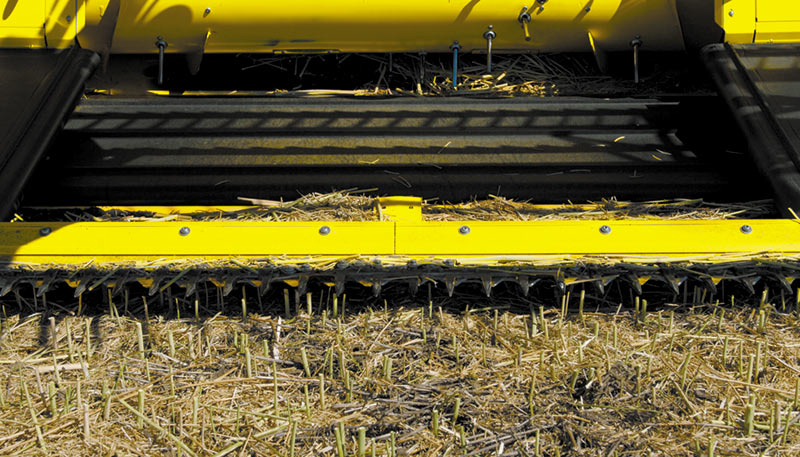 Automatic Reel Speed Control Standard – Available on most current production combines. Combine must be equipped with Automatic Reel speed circuit. 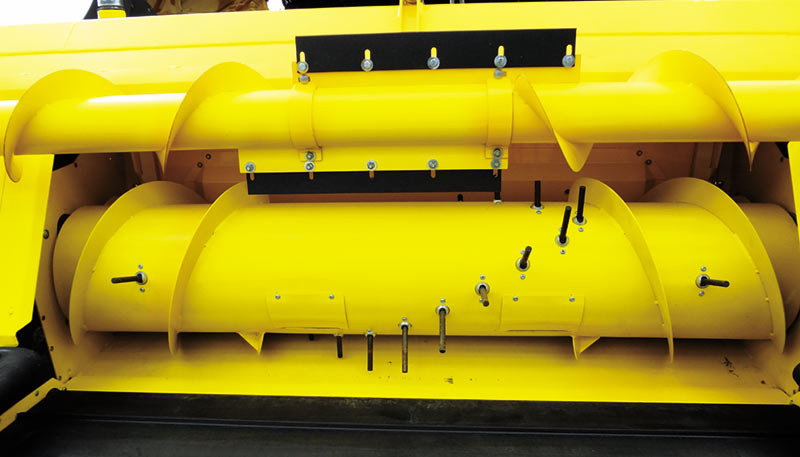 Combine Adapters Available for most models of self-propelled combines.